At Tendto, we tend to do everything we can to make your financial dreams come true. Providing free financial education to our members is one more way we are living up to our commitment to better serve you, and one more way you can experience how at Tendto, we tend to see things differently. Our free financial education center is loaded with tools to help you better manage your money. The topics range from money basics to even more advanced concepts like planning for retirement. Explore our interactive modules today and walk away with the knowledge you need to improve your overall financial well-being. Put your home to work. 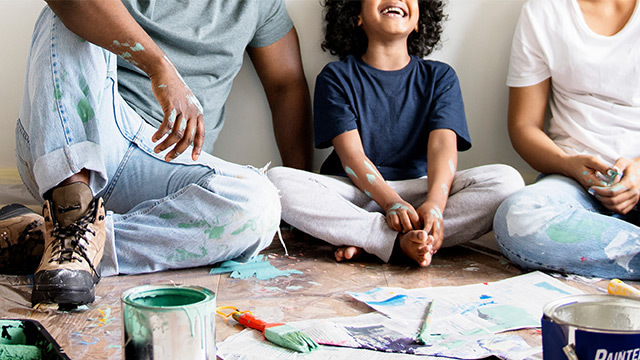 A home equity loan gives you the cash you need for whatever you have planned – home improvements, a big purchase or expense or even responsible debt consolidation. You'll get a great, low rate and payments you can afford. To learn more, visit tendtocu.com. *Tendto Credit Union NMLS# 532359.